If you’ve ever needed a set of white wall tires, or that strange set of 19 inch bias plys for your concours European Sports Car, then chances are you’ve met Corky Coker. You might have also been passed by him running the “Great Race” in an antique, but still rocking hot rod? Or if you’re lucky, like me, you’ve bumped into him all over the hot rod world and scored a Tennessee traditional Moonpie as a snack! Even with out the chocolate and marshmellow goodness, Corky’s a real car dude and highly qualified to host this show. I’m tuning in and you should too. 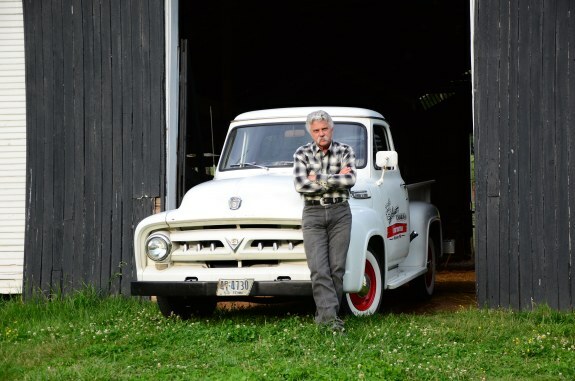 “Backroad Gold” follows antique car expert Corky Coker as he scours the highways, back roads and small towns of America, wheeling and dealing for hidden riches such as antique cars, motorcycles, trucks, gas pumps and road signs. This is Coker’s life-long passion and his business – he is constantly on the road hunting for the next big find. Together with his expert team of restorers – which includes his father, Harold, son-in-law, Greg, daughter, Casey and head wrench, Hal – Coker buys, restores, and sells all finds from his shop, Honest Charley, in Chattanooga, Tennessee. “Backroad Gold” debuts on Wednesday, February 5th at 9:30pm EST on the Travel Channel. 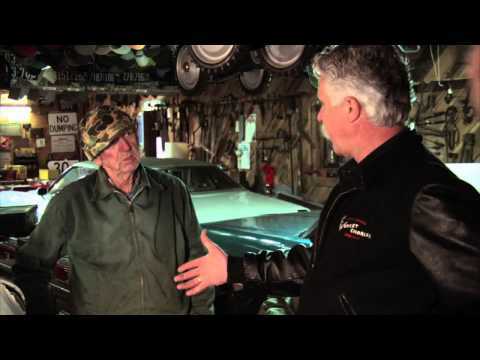 The first season features eight episodes, so viewers can tune in each Wednesday night for a new adventure in the life of car and motorcycle connoisseur, Corky Coker. In 1974, Corky Coker was handed the reins of his father’s Chattanooga based B.F. Goodrich dealership. Although he didn’t know it then, much of what Corky would do over the course of the next 40 years would define the vintage tire industry. 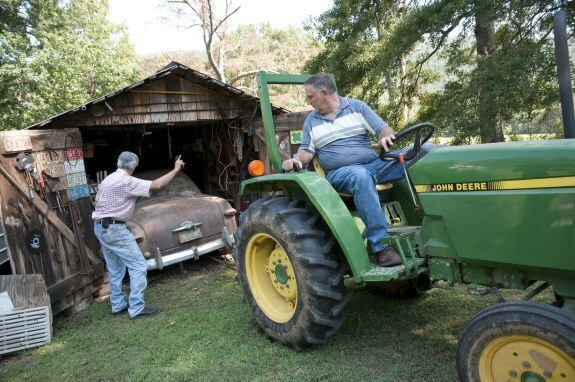 He grew Coker Tire into Coker Group and revived the iconic Honest Charley Speed Shop. Corky is widely regarded as an expert on collecting and restoring antique automobiles and motorcycles. He speaks frequently regarding the collector car hobby, vehicle legislation, and the future of the automotive restoration market. Corky draws strength from his faith and family and believes in the principles and values of hard work that this country was founded on and applies them in every aspect of his life and business style. “Backroad Gold” is produced by Brentwood Communications International, Inc. for Travel Channel. For Brentwood Communications International, Inc., the producers of such hit shows as Overhaulin’, Rides, Hot Rod TV, RU Faster than a Redneck and Rock My RV. The executive producer is Bud Brutsman. For Travel Channel, the executive producer is Sean McKnight. Thanks for the reminder, Pikesan. I’ll have to tune in.